Turn off the lights, grab a flashlight, and practice your spelling words using Morse Code! Kids have to pay close attention to the flickering light to figure out each word. You could also come up with a different tapping sound for the rectangle and circle in Morse Code. Kids have to listen closely to differentiate the tap! Furthermore, you could have them draw the code and then have a friend solve it. 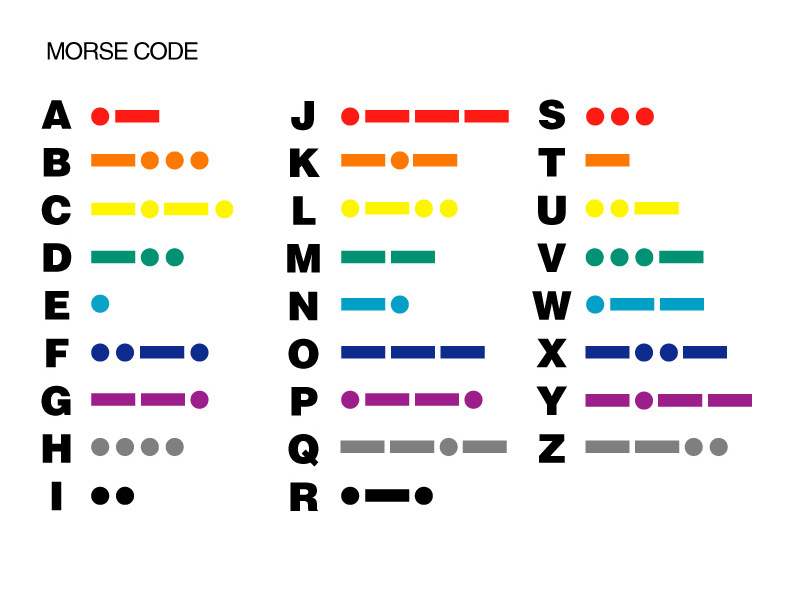 Below, I made an original and colored version of Morse Code. You could use the colored code for drawing words or making a fashion statement! 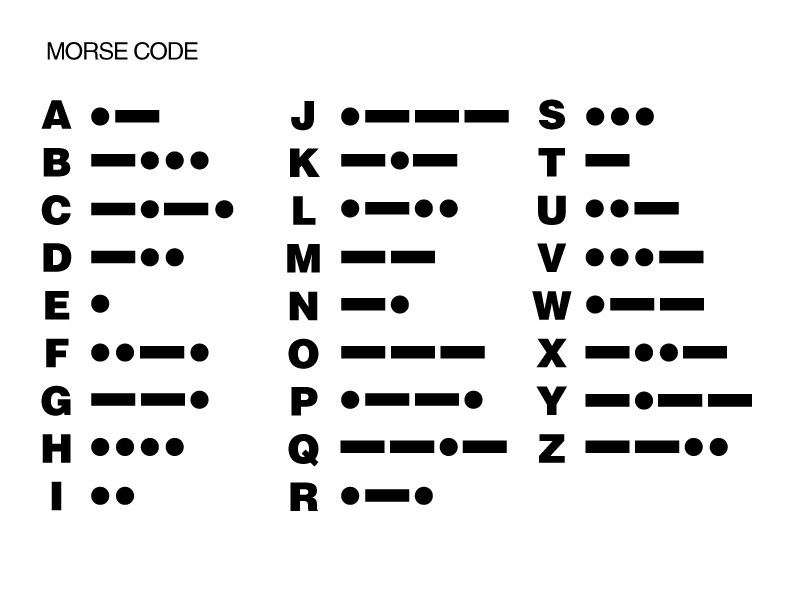 Kids could create a necklace or bracelet of beads, using Morse Code (check out Classic Play). Then, see if their friends can figure out their secret word! I think the Z is incorrect as same as G. Add one more dit.